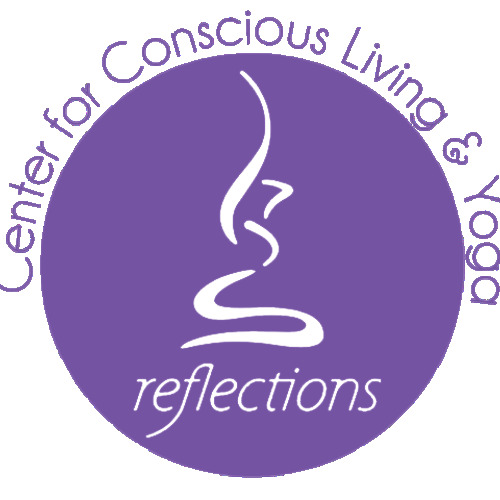 Reflections Center for Conscious Living “Living consciously is seeking to be aware of everything that bears on our interests, actions, values, purposes, and goals . . . it is the quest to keep expanding our awareness and understanding, both of the world external to self and the world within.” - Nathaniel Branden Reflections is a community hub for self-exploration. In our courses, we ask you to take a deeper look at who you are. If you don’t like what you see, we can help you change direction. If you are comfortable with what you find, we can support your current self and help you continue to evolve. Our classes stem from the traditional roots of Yoga and are designed to help you understand the deeper meaning of your practice. In each class, we focus on breathing and meditation. We use asana as tools for healing and health, rather than power or rigor. We have Yoga for everyone from beginners to advanced, from a slow and meditative practice to a more vigorous flow, and from youth to senior citizens. In addition, we extend beyond Yoga with educational courses on conscious communicating and our creative classes for kids. We offer the space and time for you to unite the mind, body, and soul . . . and HEAL! We encourage you to leave competition and judgement at the door. Get ready to de-stress, soften, and simple BE YOU.